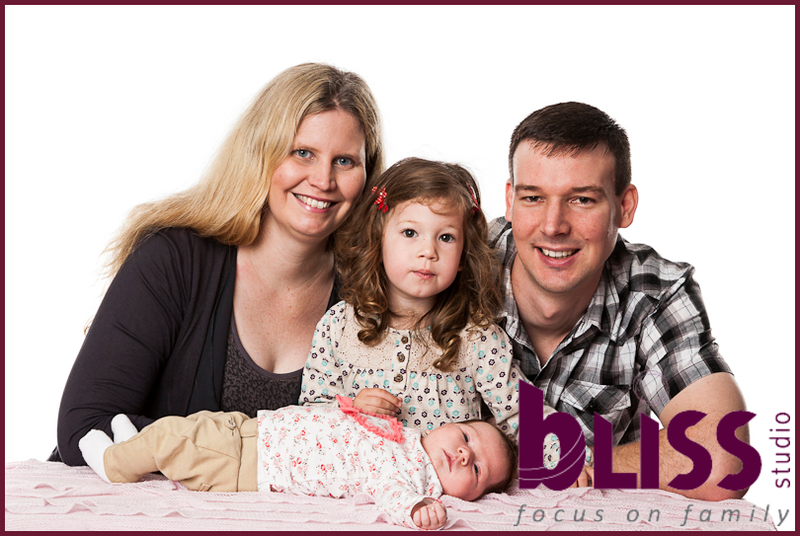 This is the third time that the Moskwiak’s have been to see us for family portraits, starting back in 2007. It is really nice having families return to us time and again, as so many do – I love seeing the children develop, and meeting the new additions. It also means that the family wall is pretty much entirely our work, which is a great feeling! 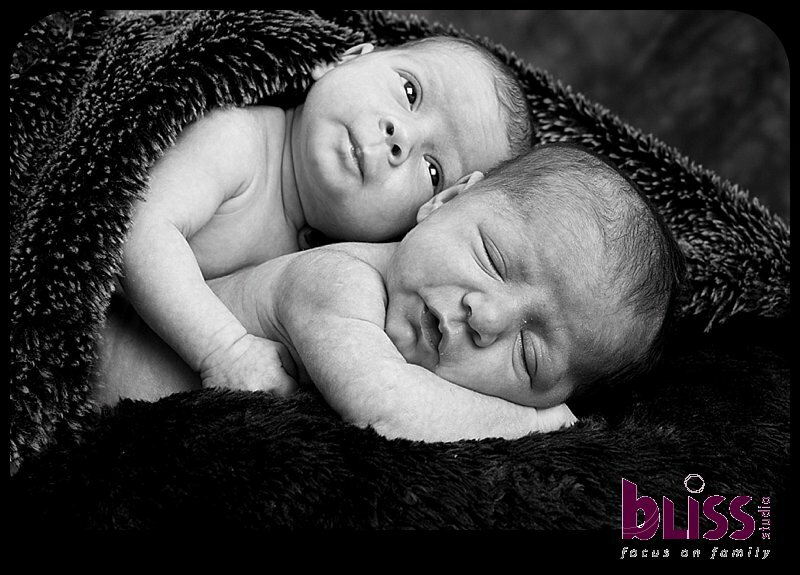 Cailen, Riley and Blake were all in a good mood that day which is always appreciated when taking children’s photos! So thanks little guys! 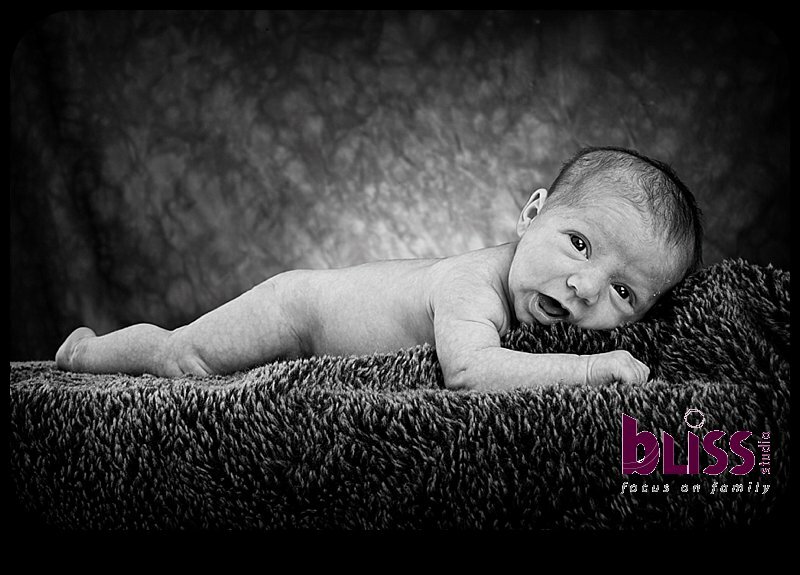 Blake now has his very own portfolio box just like his older siblings and now that the family is complete, the family story board will take pride of place on the family portrait wall. 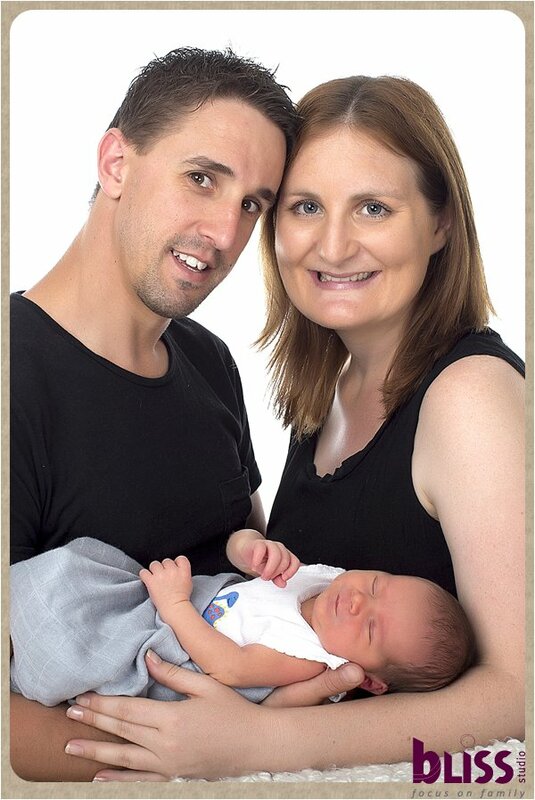 We had the pleasure of photographing Fiona and Glenn for their pregnancy photos and then again when little Sam came for his newborn photos. I hope that you enjoy looking at these images, just in time to share with your family for Christmas! Happy holidays guys, it will be that much more special this year with Sam to celebrate with. Two families in row with the same surname, and it is apparant that I can not help myself when it comes to puns. 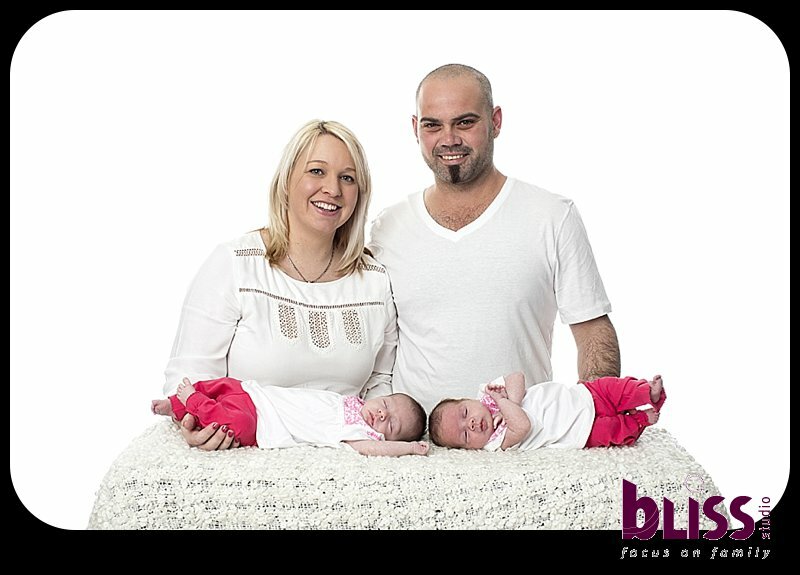 Little Tia and Sunny came to see us a few weeks ago for thier baby photos. 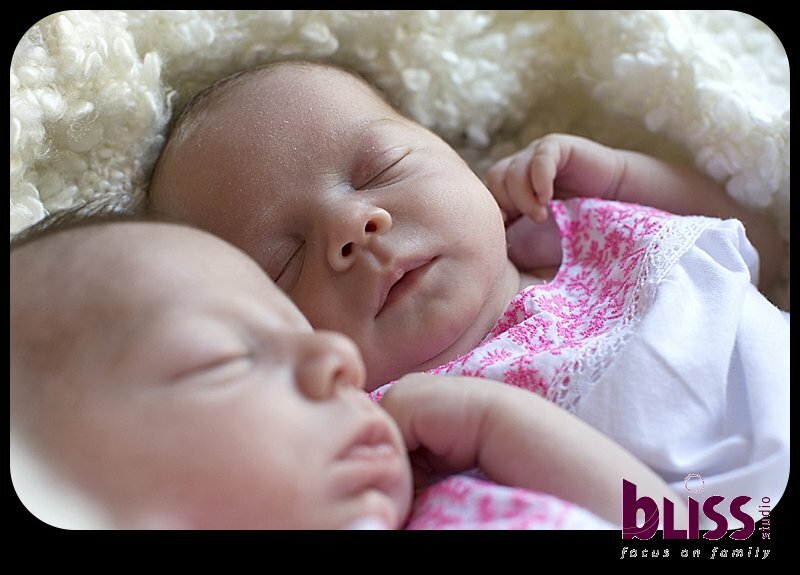 Normally, twins can take a while, so we allocate about 4 hours. 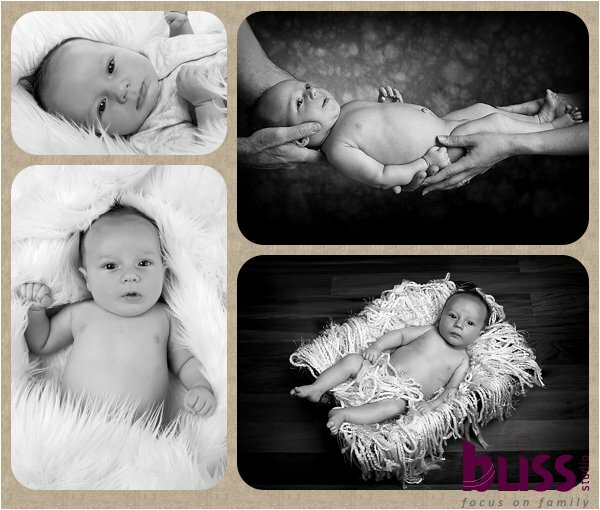 These beautiful little girls though were really easy to work with from start to finish. Thanks to Mum and Dad for coming, and we look forward to seeing them again when they are a bit older. 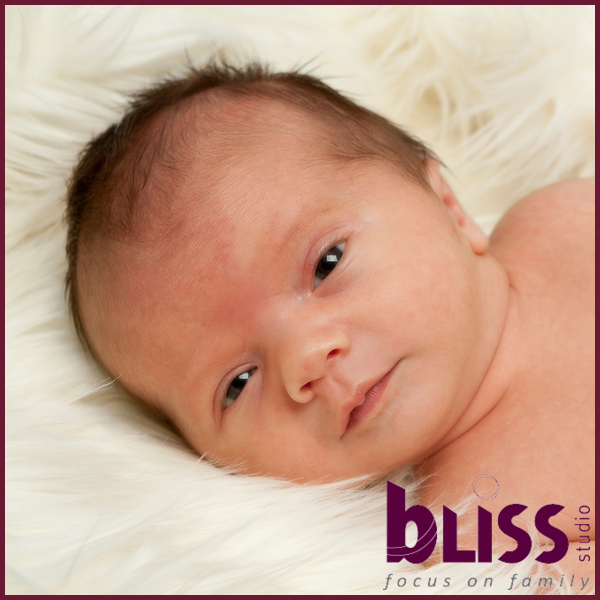 Little Harvey came into Bliss Studio at just two weeks old. Harvey is going to grow up being a proud Kiwi. 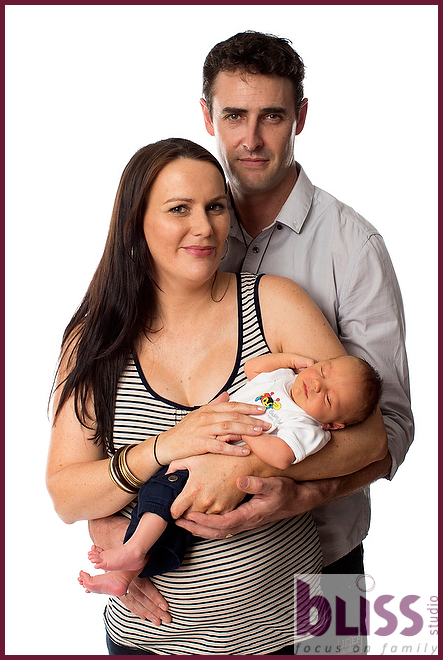 His parents, Summer and Darryn brought with them a greenstone which they wanted featured in a photo. They also had the classic ‘buzzy bee’ with them. We have had this gorgeous little wooden toy in a studio a number of times. It used to be a favourite toy for my own daughter – we would know where she is by the click clack of the bee being pulled along! 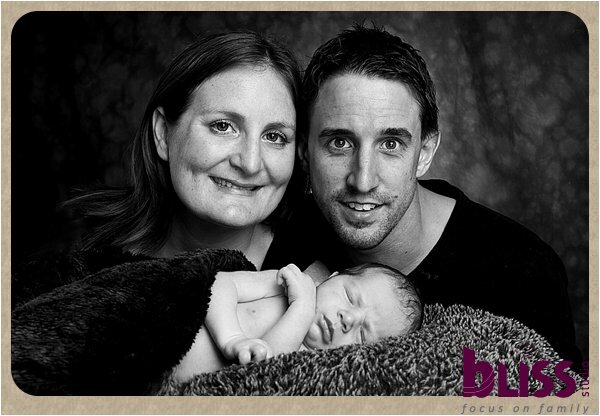 Harvey was the perfect little boy on the day – happy to be held in Mum or Dad’s arms or snuggled into a blanket. The gorgeous black & white photos are some of my favourites. 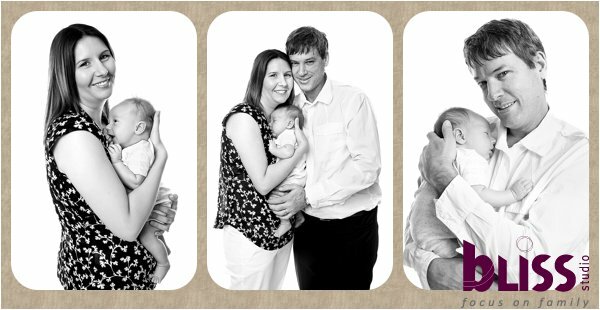 We are sure Summer & Darryn will be showing these photos off to family and friends and we look forward to doing more photographs of Harvey in the future. Two little girls don’t come much cuter than Kayla and Sophie. 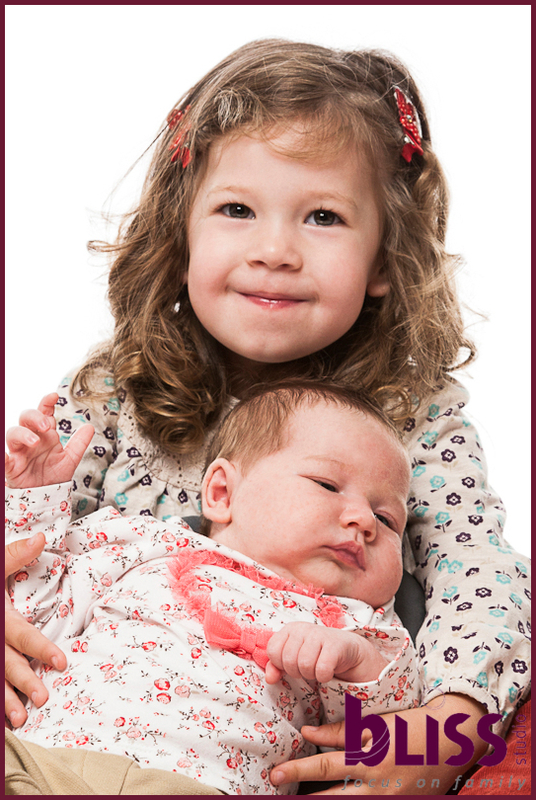 This is the second time Kayla has came to visit us for a portrait session and this time she was excited to bring along her new baby sister, Sophie. 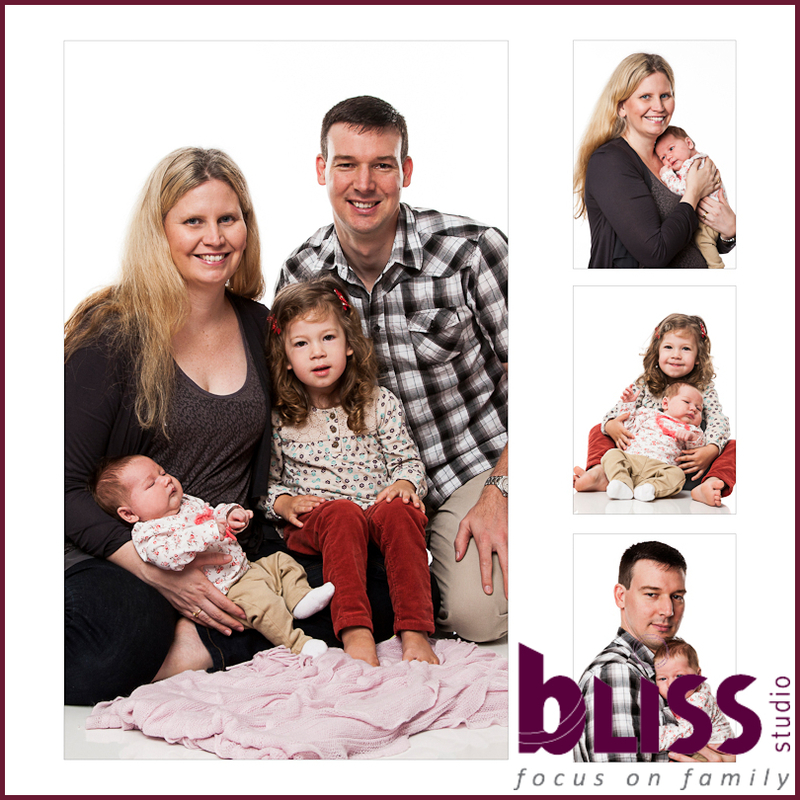 We love seeing how our families have grown at Bliss Studio. 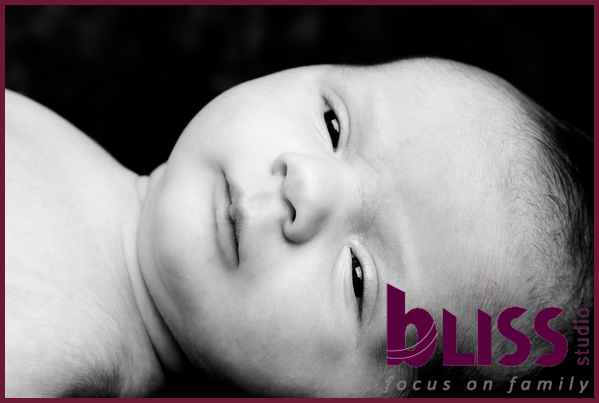 Often we are shooting to match a storyboard or image from a previous shoot – which is what we did in the case of little Sophie. 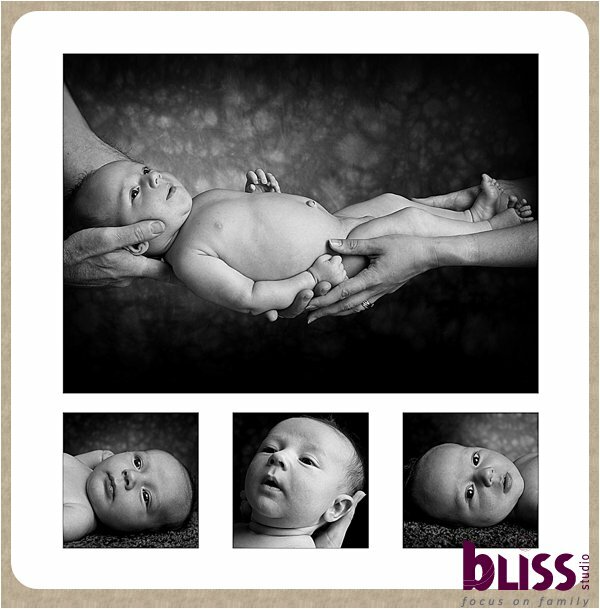 Their is now a gorgeous black and white composite proudly sitting alongside Kayla’s one from a similar age. Kristy and John you have a lot to be proud of with these gorgeous girls and we look forward creating more family portraits for you in the future. 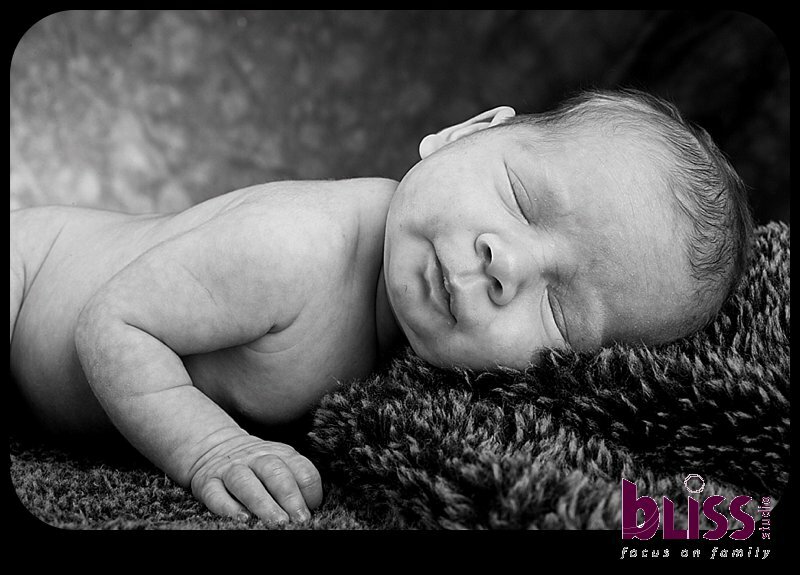 At 20 days old little Jake came into our portrait studio for a session with Mum & Dad. 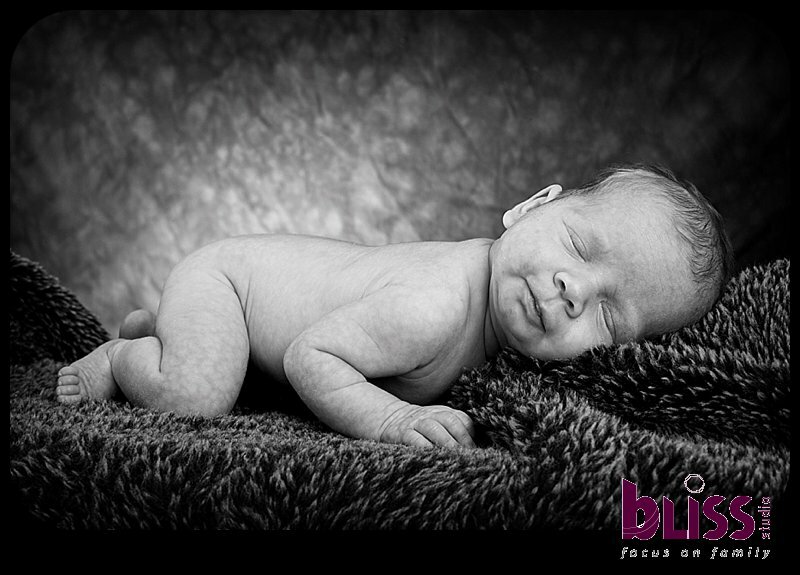 We kept Jake busy with a whole range of different poses and backdrops and he seemed to take it all in his stride. 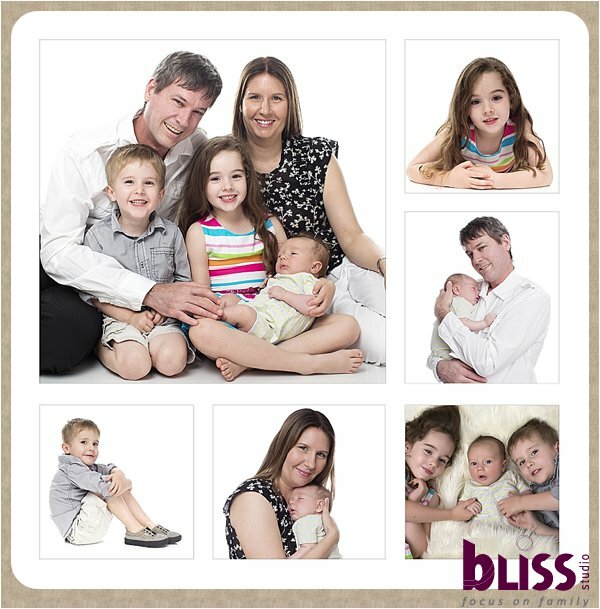 At Bliss we will always offer variety within the session and we never limit your portrait session to just one pose or grouping. Sometimes the best photographs can be the ones where they aren’t smiling and looking at the camera and Peter and Rita agreed with us, selecting this first photo as part of a series of four iceblocks. I just love the way these 3D blocks look. If you would like to find out more you can read about them here . Peter and Rita took advantage of our discount offer that applies to these iceblocks where the more you purchase the less you pay for each one. They are fantastic for stacking as a display or individually. Many of our Mum’s and Dads end up with them on their desks at work. 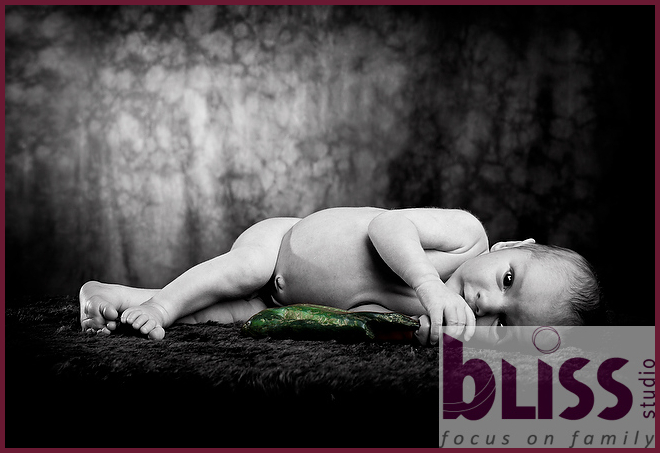 The last image shown here will be a beautiful canvas print, 16×24 inches in size and will look fantastic on thier wall. 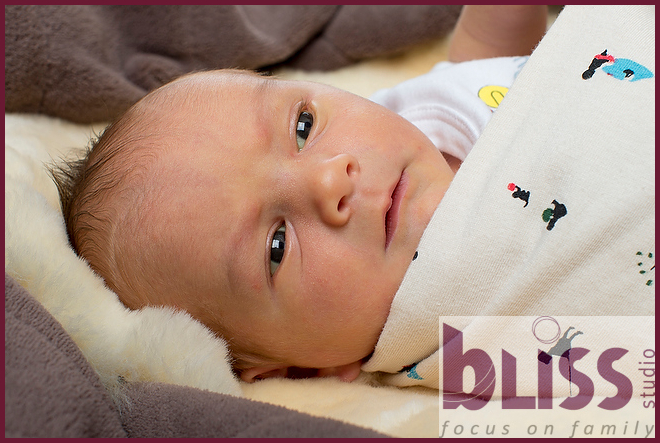 Gorgeous Saraiya Rose came in to us at just 11 days old for her newborn photography session. This little girl was just beautiful. The love in this family was very evident and my favourite photograph is this first image of Saraiya and her Mum, Clarecia. This photograph perfectly shows the special bond present between these two. I get warm fuzzies every time I look at this shot – and wouldn’t we all love to have such gorgeous eyelashes like Clarecia (am I not right girls?!). Dad, Tyron jumped in on the act for some skin on skin photographs as a whole family. Saraiya is one of those babies that makes everyone go ‘Ooooh she’s gorgeous”. 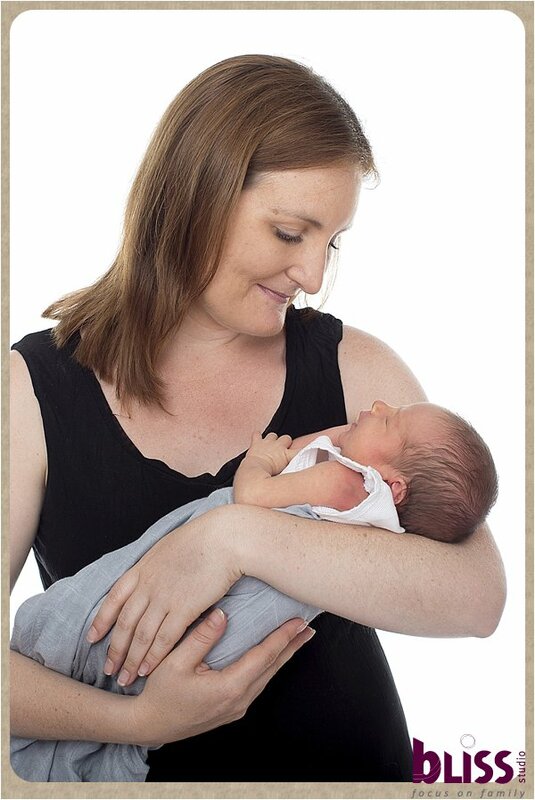 Tyron and Clareica have selected a wonderful portfolio box with their 15 favourite images along with the ‘babe in arms’ photograph on canvas for their wall. 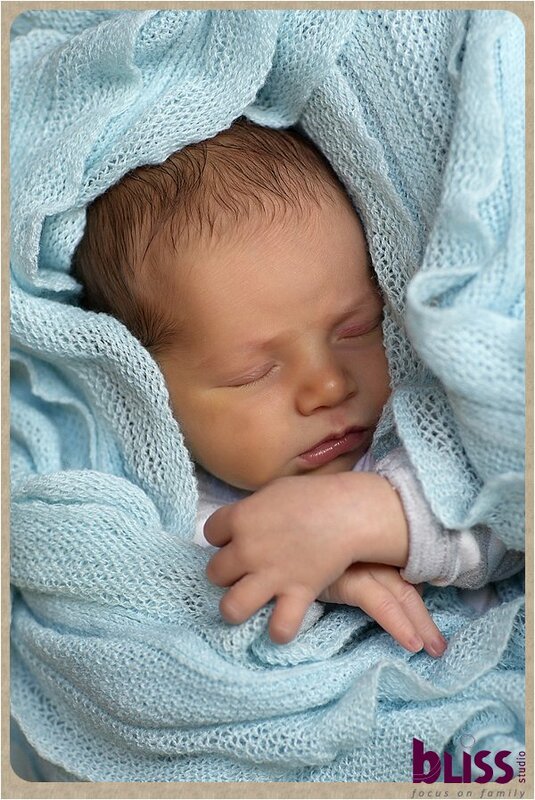 I know they will get many years of pleasure out of looking at the newborn photos and we look forward to seeing Saraiya again when she is a little older.